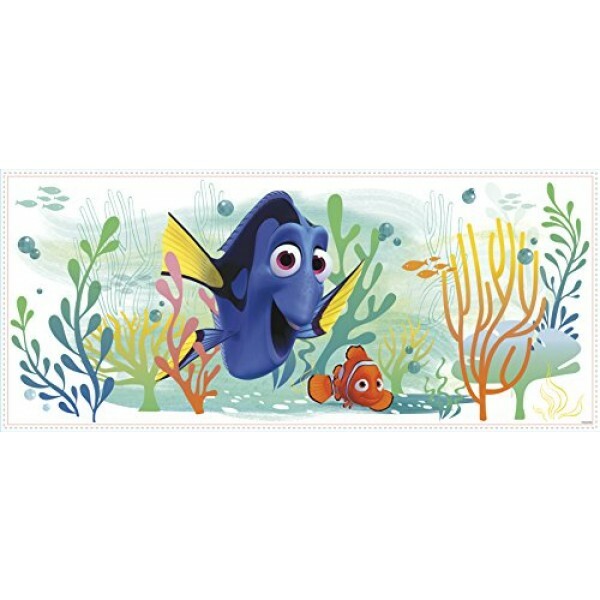 Dory and Nemo are the best of friends, and now you can have their friendly faces on any room in your house! 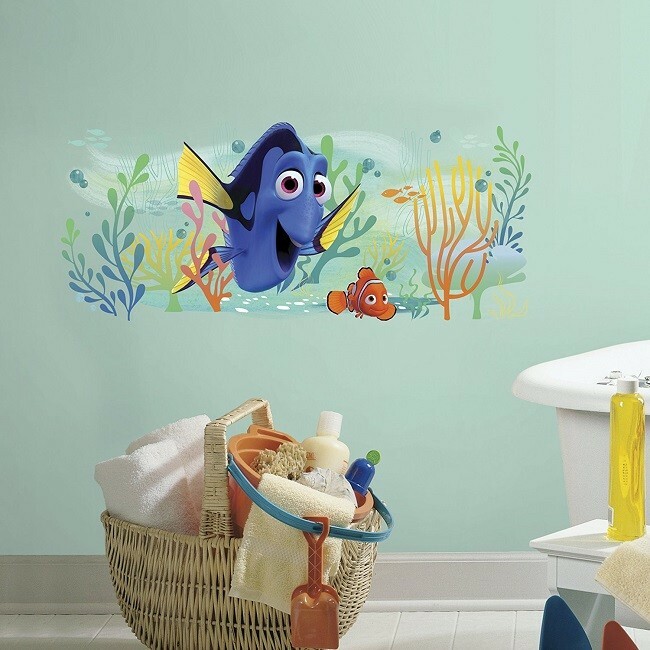 This cheerful and colorful wall graphic from RoomMates is easy to apply and looks great. Decal is 39 by 16.5 inches.